The recent spotlight on the harassment of women in the workplace and the #MeToo movement emphasize the importance of women regaining their power and using their voice to stand up for themselves and protect themselves. Too often, the process of suppressing ourselves starts when we are children. We are encouraged to “be good,” “obey authority figures,” and “fall in line–don’t make waves.” Life is easier when we comply. That external voice overrides our internal voice. The expectations override our inner desires. Along the line our Spirit gets broken. It is never too late to gain or regain your voice. It is never too late to regain your vision and your inner strength. It is never too late to realize your power and the power of choice. 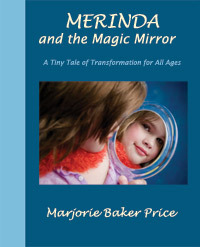 Merinda and the Magic Mirror: A Tiny Tale of Transformation for all Ages is a story about a little girl, just like that little girl in all of us, who has been pushed around by the world. She has a magnificent realization of her own power and worth and takes back her voice and her dignity. The book lets us know it is okay to do this, and the exercises and meditations in the back gently lead the reader through the process for themselves. Merinda is a book for all ages. Parents and Grandparents can use the guide in the back with their daughters and granddaughters. It is one way to ensure that our children will not have #MeToo moments and wish they had done something different. Women of all ages can use the guide for themselves, and put their own lives and experiences into perspective. Women, take a good look at your life! Where can you take back your voice? Where do you really NEED to take back your voice? Do you know how? Just ask Merinda! Now you can purchase a five-track, 115 minute downloadable album that contains the Merinda empowerment fable recording PLUS two guided meditations for children and two for adults. Find out how to order at the Centering Tools Website Page. Marjorie Baker Price was interviewed by Norma Holland on the Many Voices, Many Visions program, Rochester WHAM TV channerl 13 on Jan. 09, 2014. In two segments they discussed Marjorie’s new book, Merinda and the Magic Mirror, how it came to be, and how it helps people of all ages look within and find their strength. They also discussed her Centering Tools business and how Marjorie works to empower people through her programs and private sessions. 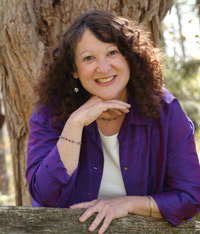 Author Marjorie Baker Price is holding two separate workshops on Saturday, February 1, 2014 in Rochester, NY on empowerment, inner magic for self-transformation, and finding your authentic voice and true self. One is one for girls ages 8-10 and their favorite adults, and the other is for adults. The workshops are based on her recently-published book, Merinda and the Magic Mirror: A Tiny Tale of Transformation for All Ages. Marjorie is going to be interviewed about the workshops by Norma Holland This Sunday on WHAM TV for the Many Voices, Many Visions program. It will be available online after January 12th. Workshop 10:30 – 11:30 a.m. This is a creating and sharing class for girls and their favorite adults to find a “magic mirror within” through special crafts, writing and drawing exercises, and reading the story of Merinda, which presents a “good little girl” who struggles to please and cope with bullying. She is taken on a magical journey to “the world up above” where she discovers the wonder of who and what she is, and her own empowered self. Space is limited! To register and for more information email Marjorie@centeringtools.com or call 585-244-6210. Major credit/debit cards accepted. For related information visit www.centeringtools.com. This dynamic workshop focuses on exploring your inner child as a key recovery and self-healing practice. The child within is the ongoing center of development and empowerment. When we can safely, gently and imaginatively connect with that center we can profoundly release trauma, and forgive. Forgiveness is a by-product, or serendipitous, response that always occurs when we come to the end stage of grief – acceptance. Through experiencing these twofold multidimensional processes, you can restore and activate your true and empowered self in any and all aspects of your life. 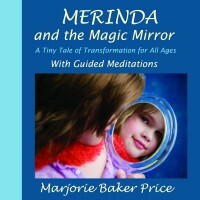 Marjorie Baker Price will include key concepts and the spiritual self-recovery story of her recently-published and nationally-distributed fable, Merinda and the Magic Mirror: A Tiny Tale of Transformation for All Ages. Through the nurturing and transformational original guided meditations and journaling exercises in this workshop, you will discover and create, on a whole new level, your higher self. You will greatly expand your authentic sense of who and what you are, and where you truly belong. You will form a foundation from which you can miraculously create in your life what you truly want – and release what you come to understand no longer serves your greater good – from a whole new place of clarity, trust and presence. Space is limited. To register, email Marjorie@centeringtools.com or call 585-244-6210. Fee includes all materials. Major credit/debit cards accepted. For related information visit www.centeringtools.com. Self-Healing, Recovery, Empowerment and Transformation in the New Year! 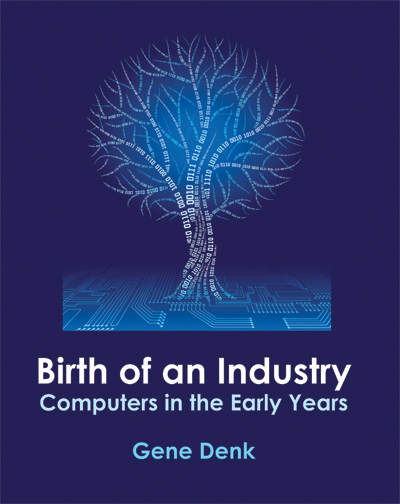 Productivity Publications is excited to announce the launch of its latest book, Birth of an Industry, Computers in the Early Years, by Gene Denk. Denk shares the history of the development of computers as well as what it was like to work with early computers, programming with punched cards and wires. This book is now available at Barnes and Noble and Amazon. Eve Strella, the driving force behing Moments of Truth, Gifts of Love, passed from this life on July 19, 2011. She was a multitalented person, balanced between the creative live of her art and her training as an engineer. She always had a positive, “let’s do it!” attitude, even in the face of disappointment. Resilience defined her, and her smile could light up a room. Even when her cancer spread, instead of giving up, she jumped into creating this book to leave behind a legacy of hope for others. Even though the cancer took her in the end, she accomplished much and was courageous to the end, which came much too soon.